Peak Transfer provide reliable airport and in resort transfers from Geneva to Les Gets, get a quote and book online today. You can check out our Les Gets Winter and Summer Guide in the Peak Transfer Blog. 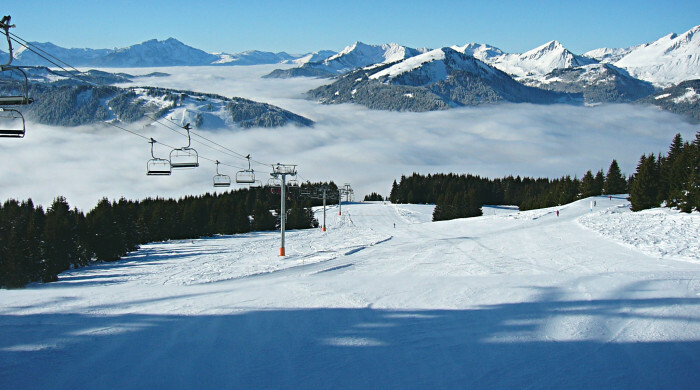 Les Gets is a small village nestled in the famous Portes du Soleil ski and snowboard resort. As well as having 120km of slopes in Les Gets itself, you can also buy a pass for the bigger Portes du Soleil ski area which comprises over 650km of pistes, 13 resorts and spans 2 countries (France and Switzerland); great value for money when you compare it to other big resorts such as the Three Valleys or the Espace Killy. Les Gets’ reputation for being a “family resort” is based partly on being good value for money and partly on its small scale and friendly atmosphere. 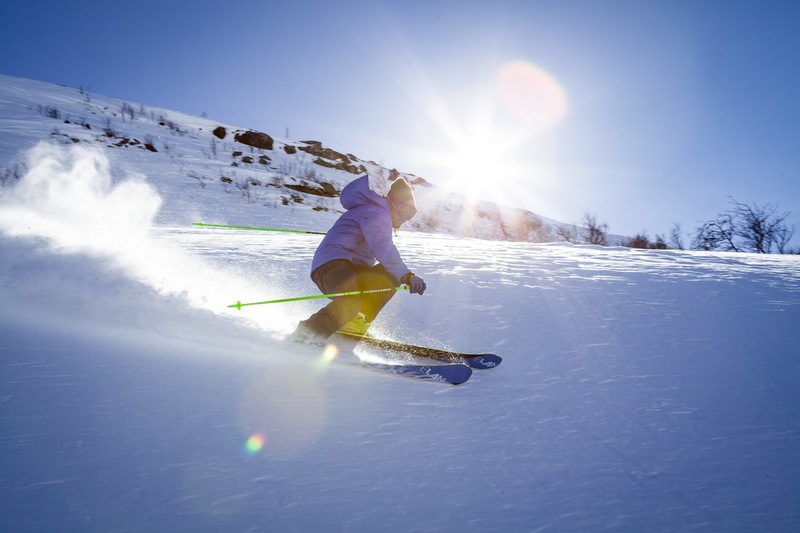 There are plenty of family-orientated entertainments throughout the season and nursery slopes can be accessed directly from the town without needing to get on a lift – ideal for children’s or beginner’s ski lessons. There is even an area specifically for children, Le Grand Cry, with 2 button lifts and a number of gentle slopes all with a Cowboys & Indians theme – they hold weekly treasure hunts and other events for children during the school holidays. Skiers and snowboarders looking for more of a challenge will find everything they need in the vast Portes du Soleil ski area – snowparks, half-pipes, steep black runs, long cruisey red/blue runs, endless off-piste and backcountry to explore… Les Gets even has its own 523m border cross on the Chavannes slopes in honour of Olympic champion Déborah Anthonioz, who grew up locally and learned to snowboard in Les Gets before going on to win a silver medal in the 2010 Vancouver Winter Olympics. Or, you can try out your freestyle skills in safety on the big air bag at the bottom of the new snowpark in the Mont-Chéry sector. Apres-ski in Les Gets ranges from cosy Alpine pubs in the heart of the village to partying on the terraces of the slopeside bars, or you can go for a spin on the open air ice skating rink in the centre of the village. There are also lots of exciting events throughout the winter season, such as the Big Mountain Battle in January (team orienteering events on skis or snowboards) and the Go Wilde music festival in March (French and international bands playing live across the mountains). 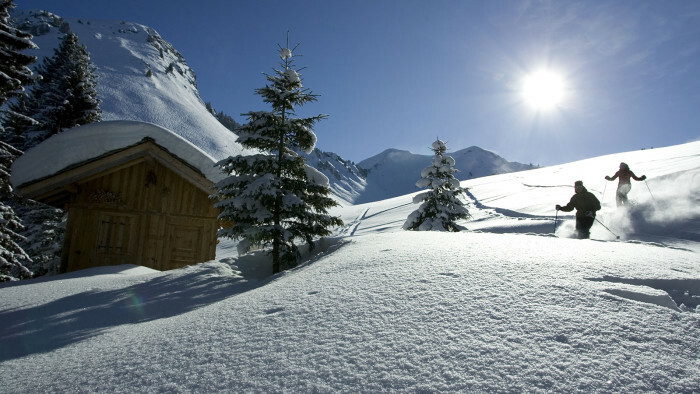 If you are not going for the catered chalet option then there are plenty of good restaurants in Les Gets including pizzerias, traditional Savoyard fondue restaurants and typical French bistros. Les Gets’ popularity can be gauged from the amount of returning guests it welcomes back year after year, many chalets and hotels can expect to see the same families and groups return each winter as the friendly village atmosphere makes it feel like a real home away from home. It is also a convenient resort to travel to, with Geneva Airport only about 80km away, airport transfer times are around one hour making Les Gets much cheaper to get to than many other ski resorts.